If you’re headed to Dallas this month for Hebraic Roots Network’s Revive, be sure to look for Grace in Torah’s author, Kisha Gallagher. She will be teaching a couple of break-out sessions and working in the marketplace at the BEKY Book table. Can’t make it to Dallas for Revive this year? HRN has you covered! You can watch all of the general sessions LIVE from the comfort of your home. 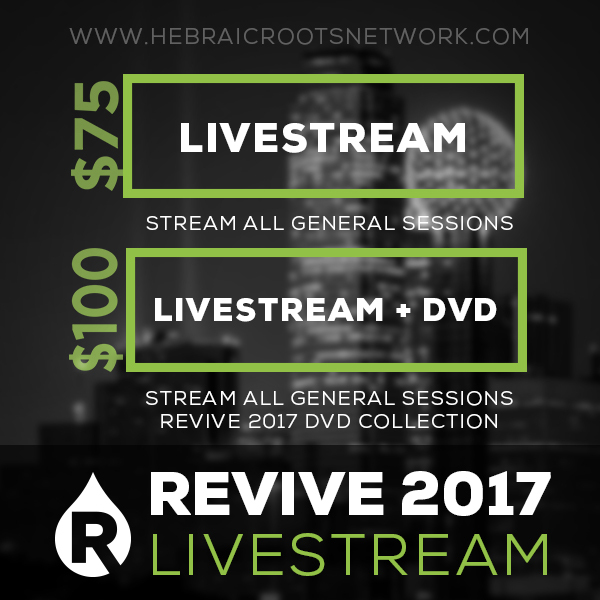 Be sure to pre-order the Revive 2017 DVD Collection while you’re there for a special rate!